In the next few years we shall see explosive growth in the use of video conferencing as a fundamental tool for businesses to enhance communication and collaboration between employees, partners and customers. The technology has developed considerably from early adopters to its current form of mass market roll-out. It’s anticipated that nearly half of information workers will have some type of personal video solution in 2016, up from just 15% today. With video conferencing becoming a core component of IT infrastructure that enables communication and collaboration, businesses will be looking to providers of telephony, business applications and network infrastructure services to include this capability as part of their offering. 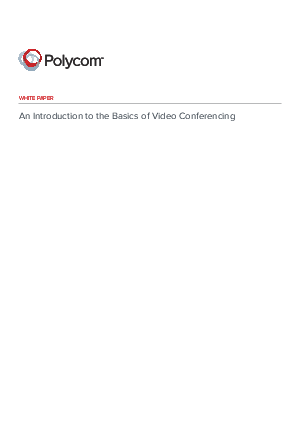 This report will examine the basic components of the technology, considerations for deploying video conferencing solutions, and will introduce the Polycom RealPresence Platform to readers.